The question of whether student athletes should specialize or diversify when it comes to choosing which sports to play has lifelong implications. Recent studies indicate students are specializing at younger and younger ages. An article in the Orthopaedic Journal of Sports Medicine found, "Current high school athletes specialized, on average, two years earlier than current collegiate and professional athletes surveyed." However, many college and professional coaches emphasize the importance of cross-training to develop a well-rounded athlete. In 2018, 29 of 32 NFL first-round draft picks were multisport athletes during their high school years. Should athletes focus on one sport or play multiple sports through their high school years if they want to play at a competitive or collegiate level? It depends. The decision to be a single-sport athlete right from the beginning can depend on the sport the athlete participates in. A 2015 NCAA survey found athletes of certain sports tend to specialize earlier: 68 percent of Div. I male soccer players, 66 percent of male tennis players and 55 percent of ice hockey players had specialized in their chosen sport by age 12. Meanwhile, 87 percent of female gymnasts, 72 percent of female tennis players and 62 percent of female soccer players who play Div. I sports specialized by age 12. Specializing early can mean achieving peak success at an earlier age. Gymnasts, for example, may need to specialize early to reach their greatest performance potential at the right time. There are downsides to being a single-sport athlete, however. Being too specialized can mean higher rates of burnout and overuse injuries. An article in Sports Health pointed out, "For most sports, there is no evidence that intense training before puberty are necessary to achieve elite status." Ken Rushford, an athletic trainer with TriHealth Sports Medicine , a service of the TriHealth Orthopedic & Sports Institute , who currently finished his Master’s Degree in Coaching Education and Athlete Development from Xavier University adds "Until students reach early adolescence, their bodies may not be ready to perform the year-round repetitive motions of a single sport." Rushford has years of experience working with high school athletes, including his current work with athletes at St. Xavier High School. Rushford goes on, "Every kid is developmentally different. The time frame to specialize comes late junior high into high school. Teens need to have that time to make additional decisions for themselves. They shouldn't feel pressure from their parents to make those decisions for them." And that is why the right age for your student to specialize in a single sport may differ depending on his or her body type, physical maturity and chosen sport. Rushford suggests students remain involved in multiple sports during elementary and early junior high years. Multisport athletes may have one major sport and then one or more additional sports they participate in during their offseason. Or, they may have several sports in which they achieve equal levels of success. Participating in multiple sports promotes a better awareness of fundamental skills, as well as promotes quicker development of physical and cognitive skills. Collegiate coaches are often looking for athletes who are well-rounded, meaning they have achieved balance through playing multiple sports. As evidenced by the number of first-round NFL draft picks who were multisport athletes during high school, professional coaches also like to choose athletes who have cross-trained through a variety of sports, honing skills that they may not have developed by specializing too early. Athletes who play multiple sports are also less likely to experience the effects of burnout. By not focusing all their energies on the same sport, the same moves, the same techniques day in and day out, they can mix up their training with a different focus and possibly even cultivate skills that help them do better in their primary sport. On the other hand, playing sports year-round increases an athlete’s chances of sustaining injuries. Rushford says the injuries he sees most commonly are stress fractures, tendonitis, and mental burn-out. However, he adds, these injuries can be easier to treat than an athlete involved in a single repetitive sport. To keep your athlete performing at his or her best, it's important to make sure he or she has routine care by both athletic trainers and experienced physicians. 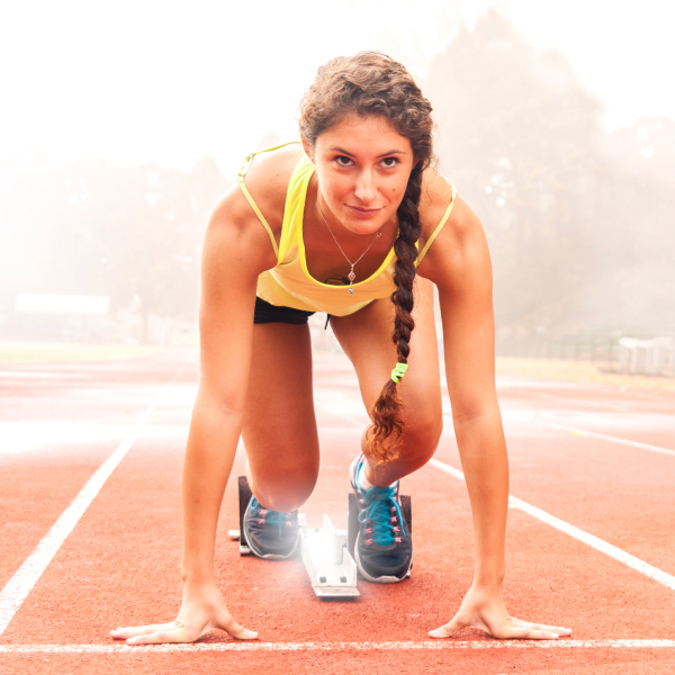 Make an appointment today with an expert at TriHealth Sports Medicine to make sure your athlete is headed for the road to success.